DALLAS -- Russian Hackers tried to access Dallas County's web servers 17 times. "We were surprised,” said Dallas County Elections Administrator Toni Pippins-Poole. Election officials say before the elections in November, the Department of Homeland Security warned them Russian hackers were trying to gain access to their voting system, voter registration rolls, and website. "They offered expertise in scanning the system to make sure that there were no loop holes or entries that could actually have any type of destruction to our data," Pippins-Poole said. The good news is the hackers were not able to penetrate the voting system that actually counts the votes because Dallas County's system is old and outdated. “We told them our voting systems were not internet based. 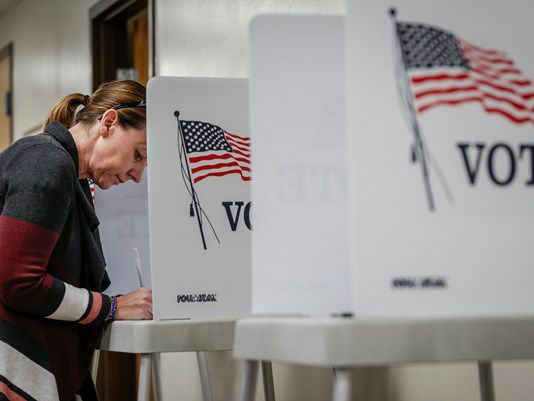 They had no web connectivity to really change any of our votes or tabulations of vote," Pippins-Poole said. Russia's cyber attack targeted electoral systems in at least 39 states. Former FBI Director James Comey testified before a Senate Intelligence Committee investigating Russian interference in the election. "Do you have any doubt that Russia attempted to interfere in the 2016 elections?" he was asked. Elected officials say they are disturbed by the idea that Russia is trying to disrupt the voting process. "I was shocked and surprised, but certainly this is something that is unacceptable and we cannot allow a foreign government to interfere in our elections,” said State Representative Helen Giddings. Dallas County election officials say they are confident the Russians did not hack, sabotage, or infiltrate any of the county's web servers.